This story has been adapted from a news item that appeared on the University of Portsmouth website. 800 stargazers visited Portsmouth Historic Dockyard two weeks ago to learn about the wonders of the universe and take a tour around the night sky. 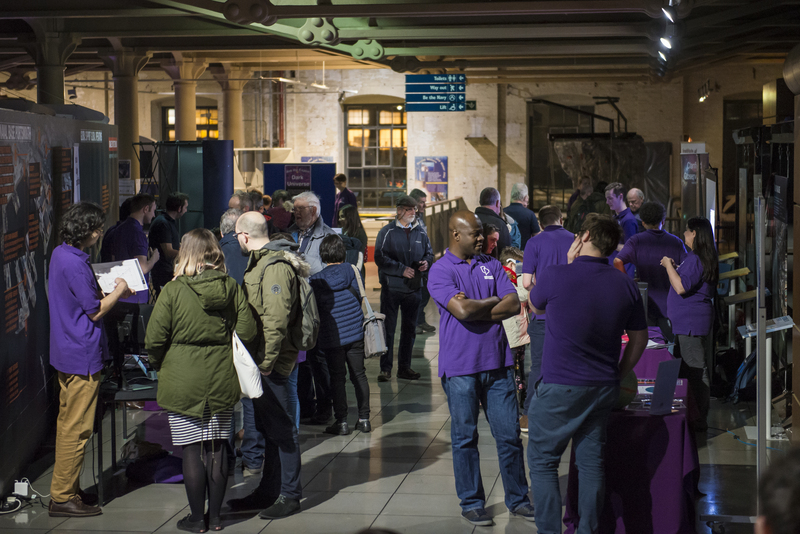 Those who turned out for the sixth annual Stargazing at Portsmouth Historic Dockyard event had the chance to chat to cosmologists from the University of Portsmouth’s Institute of Cosmology and Gravitation, listen to fascinating talks and take part in fun activities. Researchers explain the expansion of the universe using fairy lights and elastic bands at the 2018 Stargazing at Portsmouth Historic Dockyard event. Credit: Pierandrea Guarnieri. Among the highlights was the chance to “stroll in the cosmos” using a virtual reality headset to experience the universe as it was billions of years ago. 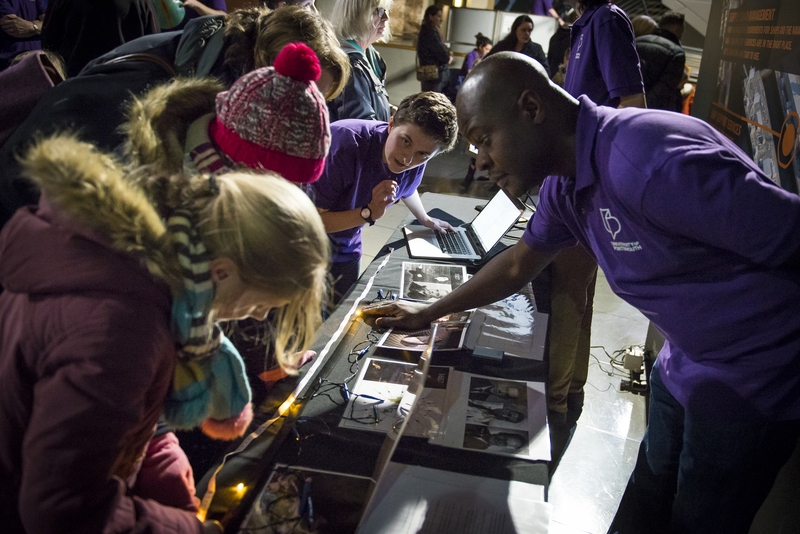 Other popular attractions included a demonstration of the accelerated expansion of the universe using elastic and fairy lights, the chance to classify galaxies online on the Galaxy Zoo citizen science website, sky tours and telescope demonstrations from local amateur astronomers and a constellation trail around HMS Warrior’s main gun deck. As in previous years, the event was held across two sites at the Historic Dockyard – Action Stations and HMS Warrior 1860. In addition to a variety of hands-on activities provided by the ICG, visitors also had the chance to find out about satellites with Airbus Defence and Space, build a rocket with Action Stations, see where dark skies are in the region with the South Downs National Park, learn about amateur astronomy with Hampshire Astronomical Group, and discover the link between stargazing and navigation with the National Museum of the Royal Navy. Attendees participating in activities at the 2018 Stargazing at Portsmouth Historic Dockyard event. Credit: Pierandrea Guarnieri. Photos from the event have been posted on the ICG facebook page. To be the first to know about future public events from the ICG, like us on facebook, follow us on twitter, or sign up to our new mailing list.